At its best, food should be simple, taste good and made with love. 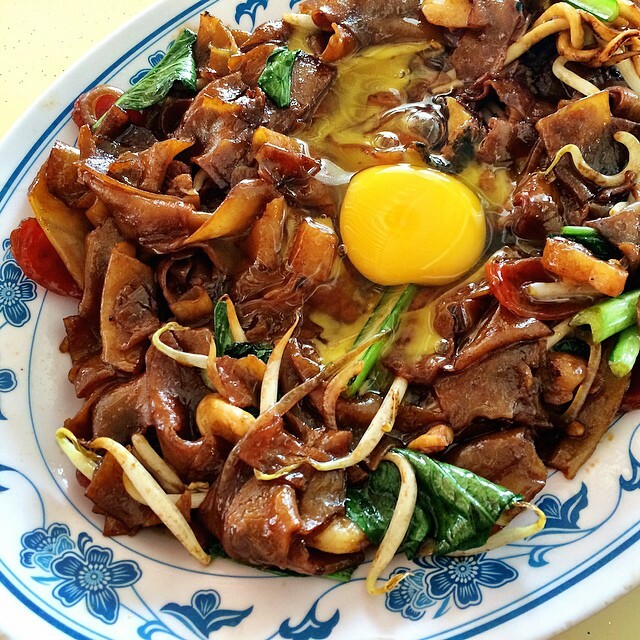 Tze char epitomizes communal, casual and cheap dining without sacrificing soul and flavor. 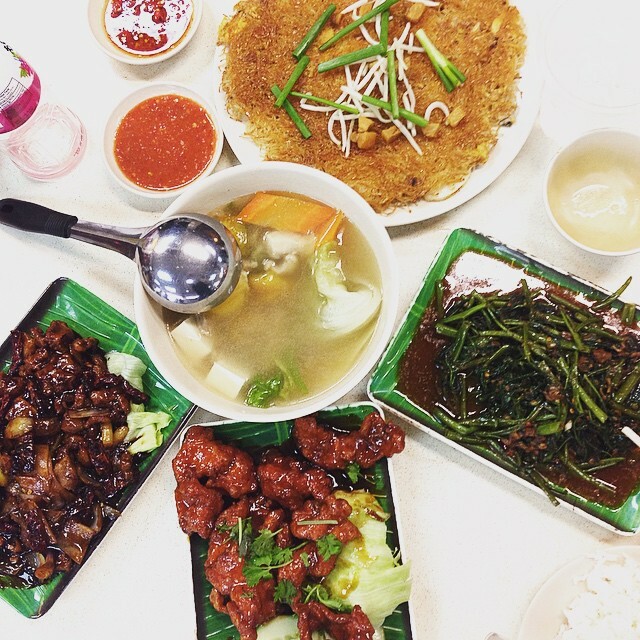 To be frank, there’s not much separating tze char places from Chinese restaurants. 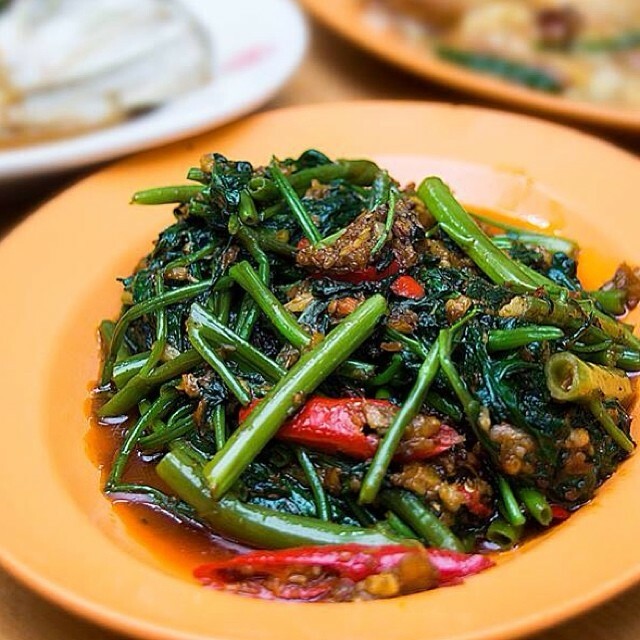 The dishes in tse char tend to be more rustic and localized as opposed to Chinese restaurants that focus on certain regions of China. 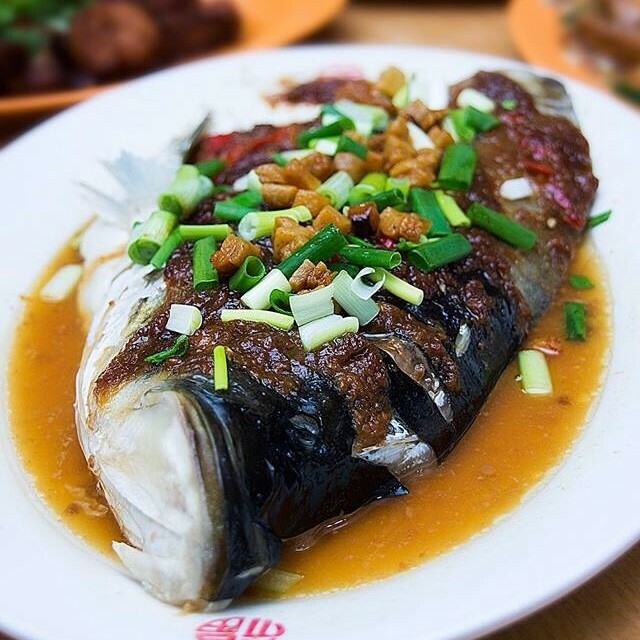 In fact, many Chinese restaurants in Singapore started off as tse char hawkers before graduating to restaurants over years of success. 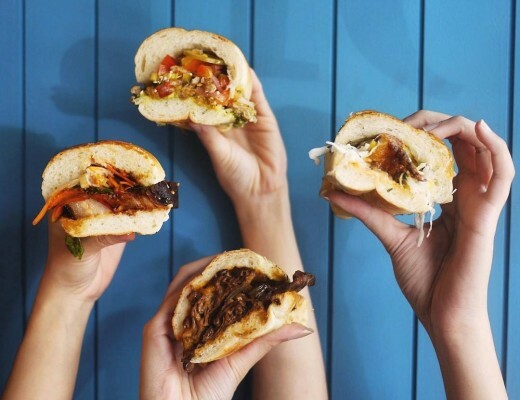 Here are the top 10 places to get your munchies fixed without busting the wallet. Nothing worth having comes easy and this place can be pretty difficult to locate. However, it gets packed in the afternoons with office workers and families flocking to get a taste of the curry fish. 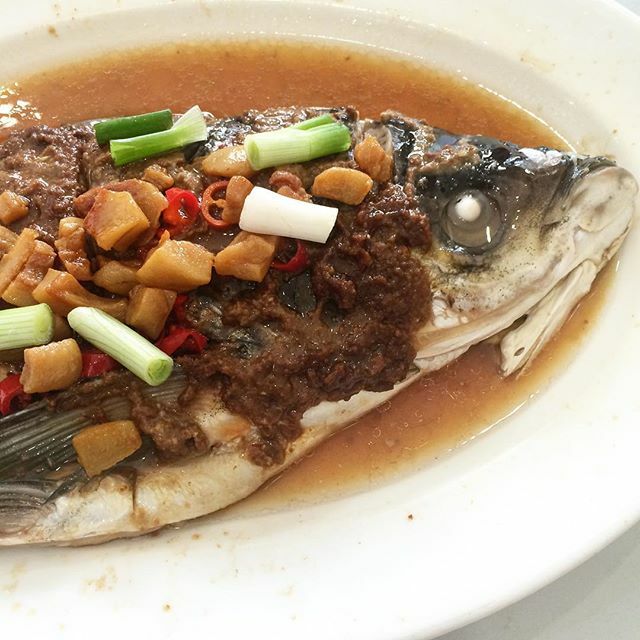 My personal favorite is the steamed snapper with tau cheo (fermented bean paste)($25 for half a head). Consistency is the reason Zai Shun is a beast. Copious amounts of pork lard is the perfect accompaniment to the succulent and perfectly steamed fish. Don’t forget to lick the plate clean of its delicate, yet punchy broth! I’ve brought buddies to this haunt and it never disappoints. 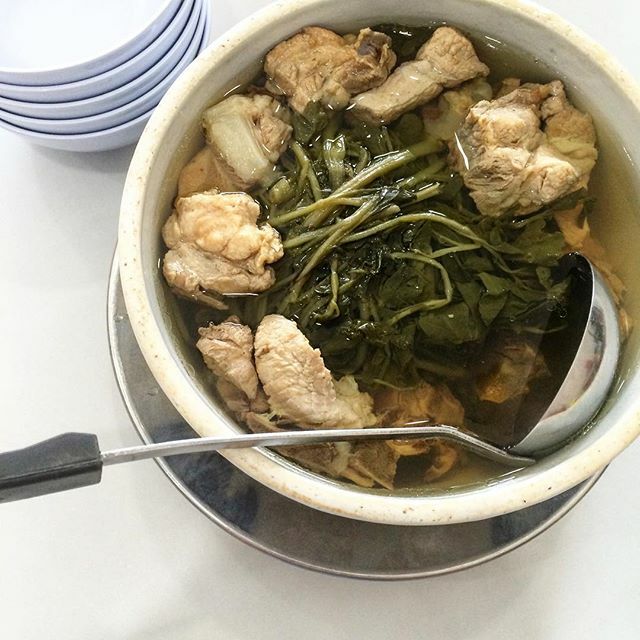 Take it from a local cook, our favorite haunts are as good as asking the local cabbie, and this one is worth the distance. 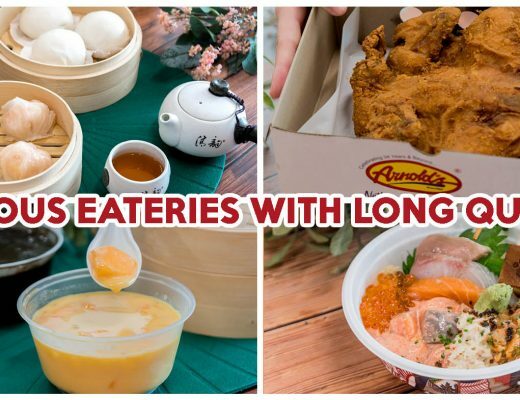 Address: Blk 253 Jurong East 24 #01-205, Singapore 600253. 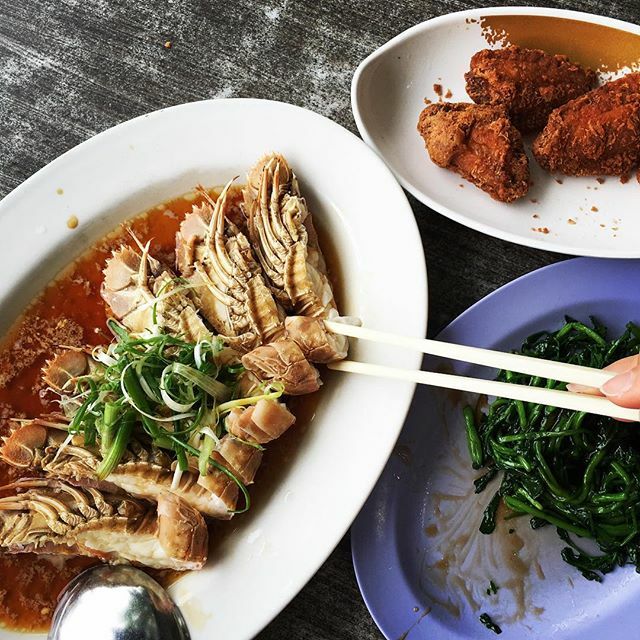 New Ubin Seafood offers a variety of different cuisines from across the world, anchored by a modern sensibility about food and all around flavor bombs. This is perfect for those nights where you want to eat something fancy but in a casual and relaxing setting. Fat is flavor, and it sure doesn’t go to waste here as the rendered beef fat from the USDA Choice Ribeye steak ($10/100gm) is used to whip up a mean fried rice. New Ubin Seafood definitely leads the pack with a novel coffeeshop concept at an affordable price point. I love eating at Sin Hoi Sai because its location never fails to remind me how lucky we are to have a no-frills dining experience available in the midst of a heavily gentrified neighborhood like Tiong Bahru. Sin Hoi Sai dishes up the familiar mainstays of tze char like steamed Teochew fish (price varies on the market catch) and smoky braised pork ribs with deep fried buns ($24). However, do not miss out on the seafood! Besides its location, Sin Hoi Sai also allows its diners to stay til 4AM, making it an ideal place for those late night munchies. After a good meal, it is also a convenient location to bar hop in the so-hip-it-hurts Tiong Bahru. Sin Hoi Sai triumphs on both location and taste! The alluring thing about tze char is the hearty charred taste that the seasoned woks (after long periods of usage) impart to food. 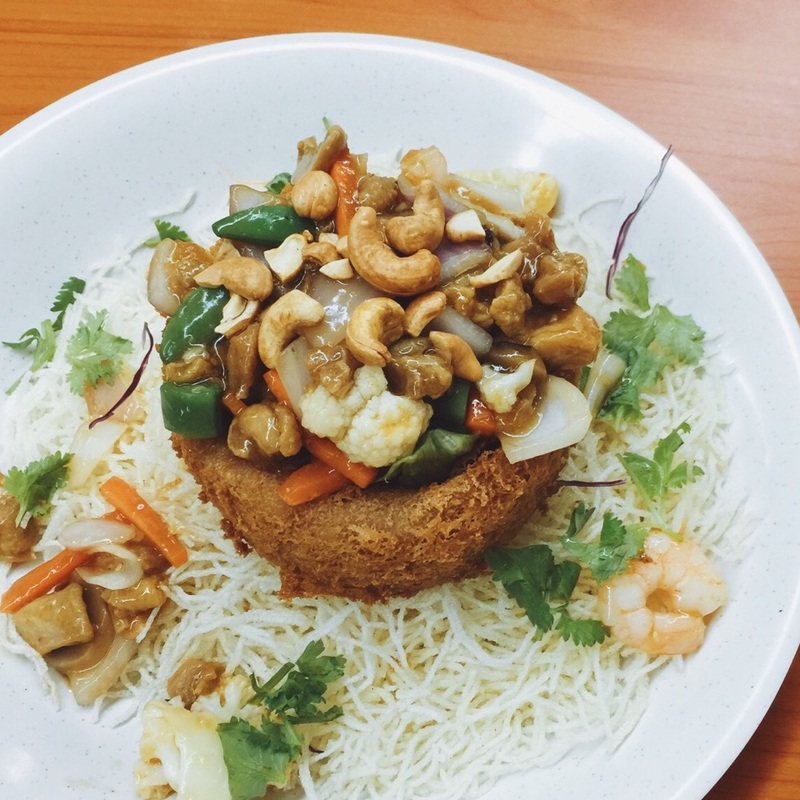 Yong Kee makes a mouth watering Crispy Vermicelli ($5) that is crisp on the outside and delectably airy on the inside. 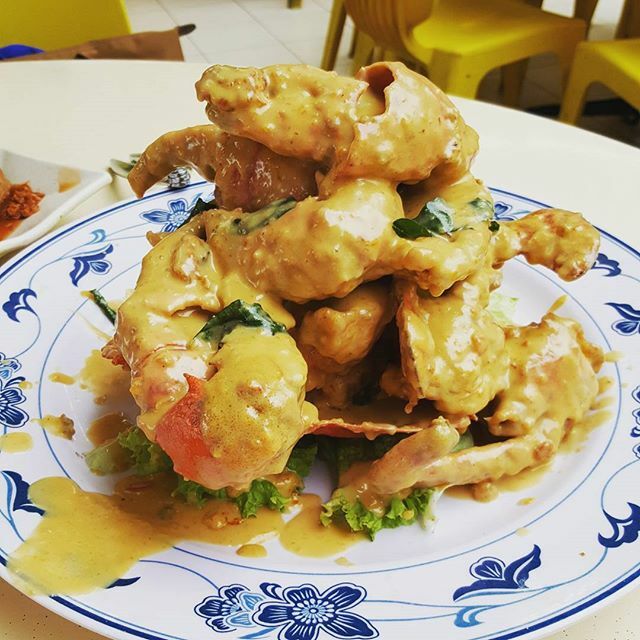 Other must-try dishes include the salted egg yolk prawns ($25). If it’s not broken, don’t fix it. 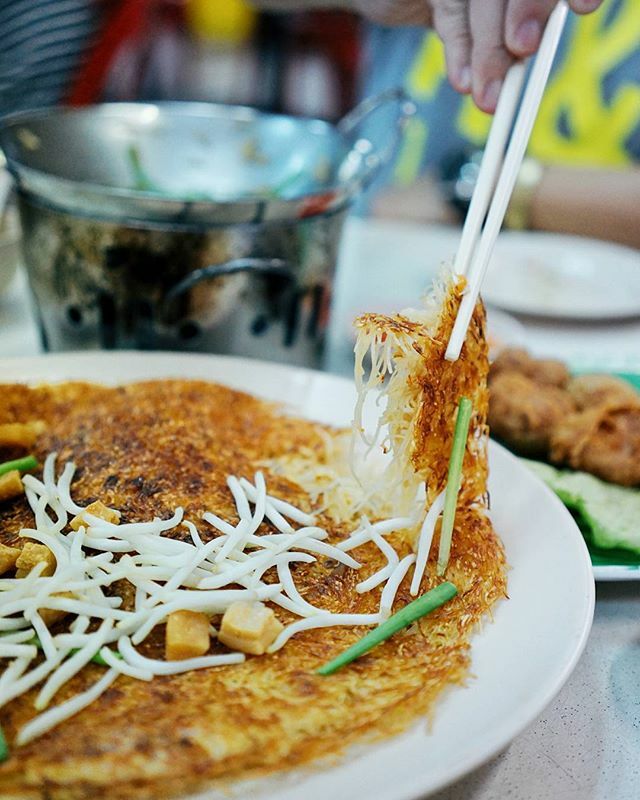 Mellben Seafood is undisputedly the place people think of when it comes to crab beehoon cravings and is an old favorite on this list. 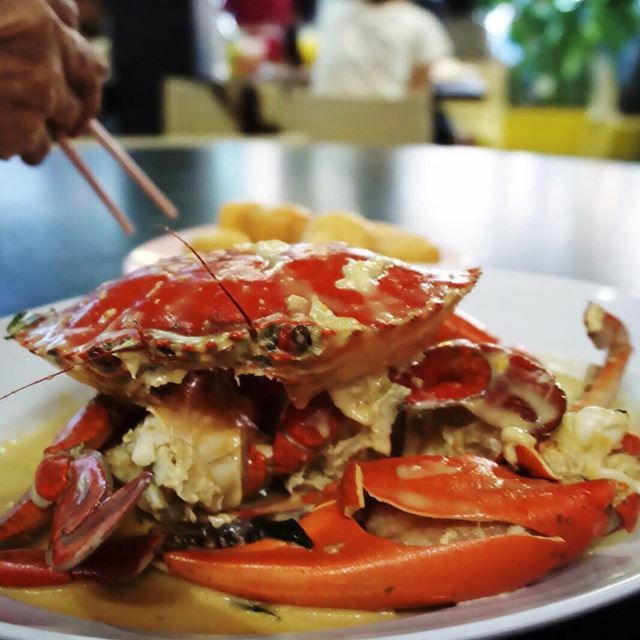 The claypot crab beehoon soup ($39) is rich and decadent, and the seafood is uber fresh! French chef Fernand Point was rumored to eat a pound of butter a day. If he had discovered this buttery goodness, trust me when I say it may have been two pounds a day. Good things come to those who wait. You may have to make a reservation in advance and be prepared for a 45 minute wait. 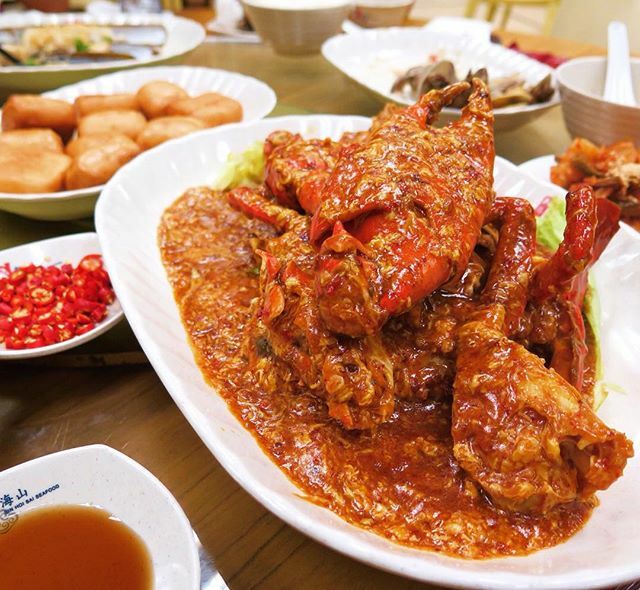 If this still doesn’t satisfy your cravings for crab, check out our crab guide for more recommendations! You know that random food pairing you conjured up that night after a long night of drinks, and thought to yourself, “I would buy this if someone sold it, it’s that good”? 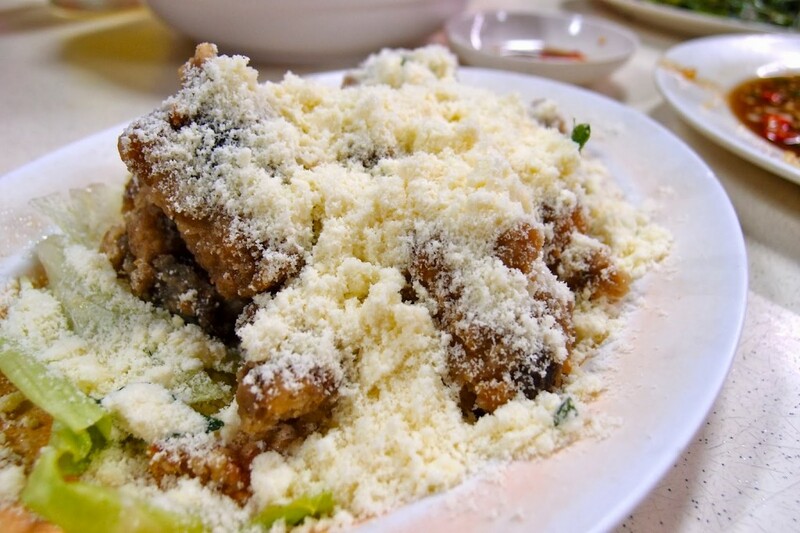 The fried chicken coated in milk powder ($16) exemplifies that for me. It’s innovative and an unexpected match. Another no-brainer is the fried you tiao coated in condensed milk. Alright, we sense a theme here: fried food and dairy, what could go wrong? Another plus point is that it’s ridiculously cheap. Don’t knock it til you’ve tried it! 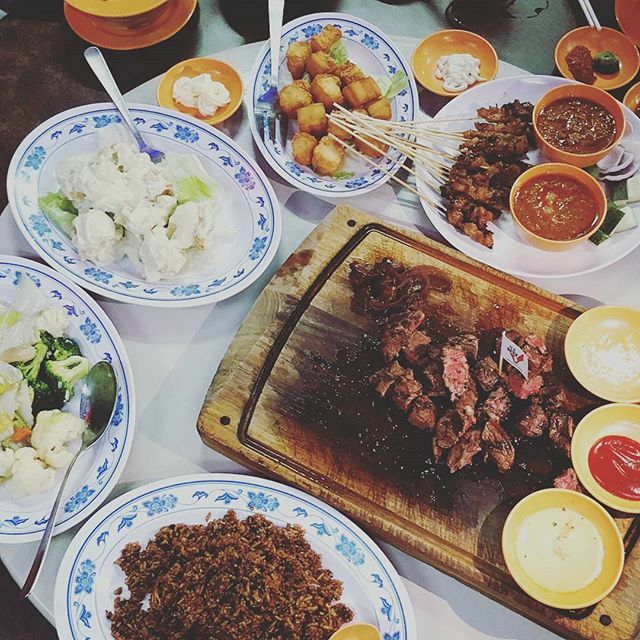 Leo Tolstoy said, “There is no greatness where there is not simplicity, goodness and truth.” The food at Joo Hing is simple and honest good food done well consistently, rendering them a spot on this list. Nothing beats mom’s cooking when it comes to soul, but Joo Hing comes a close second with its comforting rendition of seafood horfun ($5) and steamed fish head ($18) It is the kind of meal that leaves you satisfied and warm, with well executed renditions of tze char classics. Food for the soul, as they say. Opening Hours: Daily 11AM-200 PM, 5PM- 10PM. Closed on Mondays. This may not be a well-known haunt, but Jeanette has definitely gained a following in the recent years. Home-cooked food usually tastes the best because time and labor has been put in to make everything from scratch, with fresh and authentic ingredients. Trust me when I say that the pedestrian looking yam ring ($18) is worth the order, as the yam rings are made in house. The yam rings are light and crisp, making it easy to wolf down more than usual. Even chili pastes and bases of curries are all made using their own recipe, demonstrating the care and effort in order to create the best dining experience for their guests. You are the boss, Jeanette. Wayne from Keng Eng Kee is a homegrown Singaporean tze char chef who brings modern twists to traditional tze char dishes. To be creative, you need the understand the roots of the cuisine you are dealing with. Wayne makes his own rendition of mixed vegetables topped with lotus root chips ($15), giving new life to a staple of tze char. 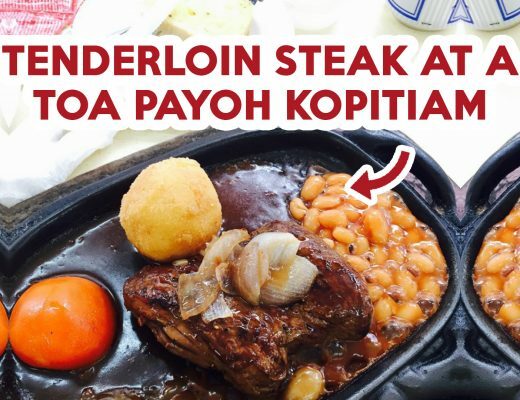 It is especially comforting to see a young Singaporean taking on the role of preserving what is special and unique to Singaporean food. 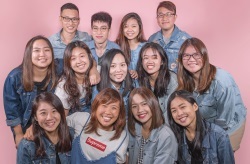 So pay homage to local talent and visit Keng Eng Kee! The name of this place (In Cantonese, meaning we will eat before we talk) brings to mind a movie, Eat Drink Man Woman. Like in the movie, there is an acknowledgment about how food can help unite and bring people together and help express certain emotions or feelings not otherwise expressed in words. Well, the food sure takes center stage in this tze char joint. The place dishes up nostalgic Cantonese classics, including robust black chicken soup ($25) and sweet and sour pork ($12) . The pork had a well-balanced sauce and the pork was fried perfectly. The food here definitely touches the heart and understands the power food has to heal. Operating Hours: 1145AM-2:30PM, 545PM-930PM. Closed on Mondays. Top 10 Tze Char Haunts Revealed! So there you have it. But hey, don’t take our word for it. 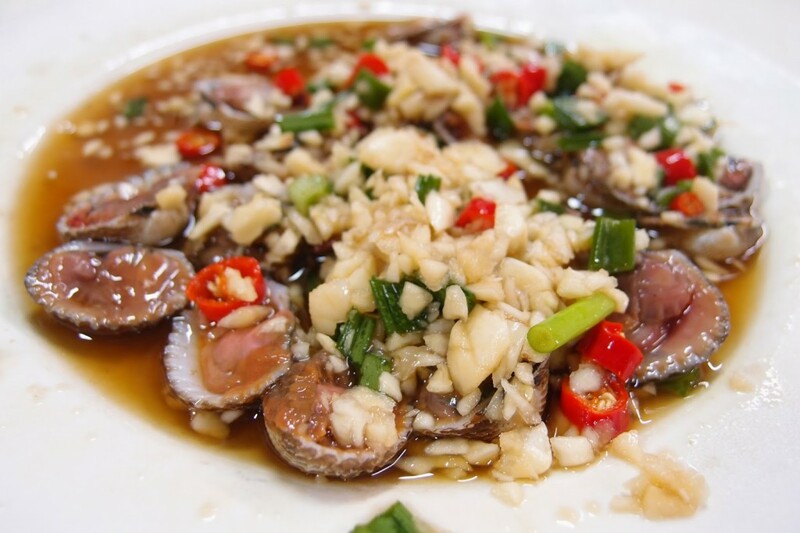 The topic of the best tze char can be rather divisive. So get down on it and let us know of any spots we’ve missed out on. Fire away in the comments!